Upgrade Innovations warrants all products against defects in materials or workmanship for the usable life of the product. 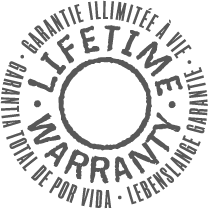 This warranty does not cover damage caused by normal wear and tear, misuse, alteration or abuse. Shipping charges to Upgrade Innovations for a defective product are not covered. Should we determine a product is covered under this warranty, we will repair it or replace it at our option. Package the product securely. Please include your name, return address and a brief description of the problem. Within Canada, return items via prepaid, insured regular parcel post. We will not accept CODs or courier deliveries. From outside Canada, ship goods prepaid, by insured surface mail. To avoid unnecessary delays and cost, clearly write “Canadian Goods returning” on the outside of the package. Note: — Do not— return items by UPS or other carriers, as duty and / or brokerage fees might be charged. If we find that charges apply your return will be refused and when charges show up on our courier account we will pass that cost on to you. When you send your product, be sure it is insured. Unfortunately, we cannot be responsible for products that never reach us. Please allow 2 weeks plus shipping time for your repaired or new product to be returned to you at our expense. We are not responsible for any taxes or duties that may be assessed on a return shipment. 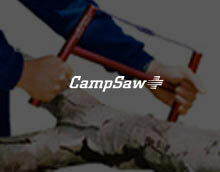 We are located in Coquitlam, Canada and will ship our products almost anywhere. The shipping cost depends upon the destination and speed of the delivery service that you choose and does not increase when you order more items. If Canada Post adds a surcharge to our fixed shipping fee, we will hold the shipment and notify you. (This might happen if your shipping address is in a remote location and the shipping cost is much higher then normal.) You can cancel the order at this point and we will make arrangements to reimburse any collected money. Certain restrictions and duties may apply to international destinations. Shipping restrictions may also apply to some destinations due to regional distribution agreements. We take care to insure all our shipments. Unfortunately this means we cannot ship to a P.O. box address. If we are not able to ship within 2 weeks from the time we receive your order because the item is out of stock or has been discontinued, we will offer you a refund. We will notify you via email when the product is available again. For our Canadian customers the taxes are included in the price. Expedited parcel post Shipped via surface mail, or if package fits size and weight for air shipment and can be shipped for similar cost, we do so. This happens in general when package is under 500g. Air service proves to be more efficient although this service offers no tracking. Expedited service allows you to track the shipment on the Canada Post website. Express post parcel post Shipped via air, this fast service allows you to trace the shipment. Orders shipped outside of Canada are not charged Canadian taxes, however all shipments pass through customs and are subject to import duties, taxes, and custom processing fees. A customs invoice will arrive with your parcel or may follow in the mail. Recipients are responsible for paying these additional fees. We are unable to provide estimates for any such fees; check with your local customs office for more information. USA expedited parcel service Shipped via surface mail, or if package fits size and weight for air shipment and can be shipped for similar cost, we do so. This happens in general when package is under 500g. Air service proves to be more efficient although this service offers no tracking. Please allow reasonable time, this is not FedEx or UPS which could cost $50 and more. Expedited service allows you to track the shipment on the Canada Post website. Expresspost USA Shipped via air, this fast service allows you to trace the shipment. Letter Mail (envelopes) For product blade orders only, this method is fast and economical. Service Mail This is an economical way for shipping to most locations. Express Post This fast service allows you to trace the shipment. If your shipment appears to be damaged upon arrival to you, DO NOT ACCEPT the shipment. If, after opening your shipment, you find that you have received damaged or defective merchandise, please hold on to the package and the goods in case we have to process a claim. We or the shipping company might want to inspect the parcel. You must notify the shipping company and us within 5 days of receipt of delivery. You can email us at info@upgradeinnovations.com, stating in the subject line “Damaged in shipping”. To contact your local postal service, call or visit them. Our products are guaranteed for defects in material and workmanship. See Customer Center >> Product Warranty. If a product that you purchased from us does not meet your expectations, return the item with proof of purchase for exchange, refund or repair. Returns for full-value refund or exchange are accepted within 5 days after you received the shipment and when the goods are returned to us in as-new condition. Restocking fee of 15% will be charged when a request to return the product is later than 5 days. Goods that have been damaged, or show visible signs of use, may receive a partial refund. Package the product securely. Please include your name, return address, and invoice, along with a reason for the return. Insure your shipment. We are not responsible for products that never reach us.